Buy Ryan Hudson a Coffee. 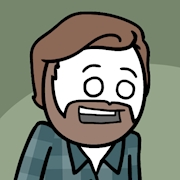 ko-fi.com/ryanhudson - Ko-fi ❤️ Where creators get paid by fans, with a 'Buy Me a Coffee' button. Coffee is the only reason my comics exist so it's super great of you to pitch in for some more. I'mma go write jokes now, all jittery and smilin. Secured Payments. Support goes to Ryan Hudson's account. Upgrade Ryan Hudson to a yearly Gold Membership with a one-time payment.